Back again. This time here to share a card I made for Brendens sister Renee. You may remember that I made one for her last year here and I think liked it. So I wanted to make her another one this year. I must apologies for the terrible photo quality. I snapped it super quick before we headed out to dinner to celebrate. The card itself was made just as quickly because I may have slightly run out of time during the day. 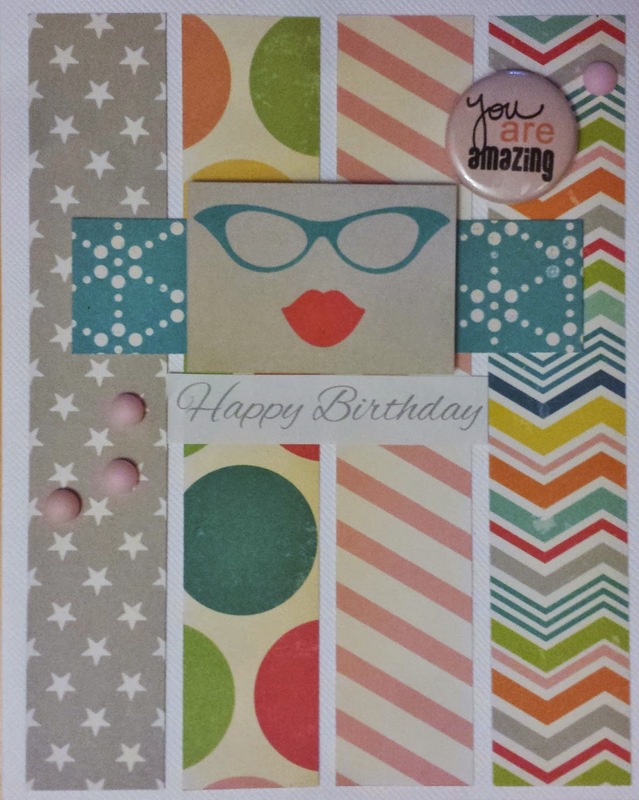 The quick create was helped greatly by the Card Sketch #29 over at Sketch N Scrap. The product used is from October Afternoons Midway collection. The glasses and lips reminded me of Renee then the rest just feel together from there. Don't you just love it when that happens. Renee, I promise I'll make another one next year and give myself more time! They were scrap pieces that I cut to size and stuck on white cardstock. I normally wouldn't either, that's why I did. What an adorable card, I love the mix of patterns! Great job with the sketch! Thanks for joining us at Sketch N Scrap! cute, cute, CUTE!! I am sure she will love it!! Thanks for joining us at Sketch N Scrap!! 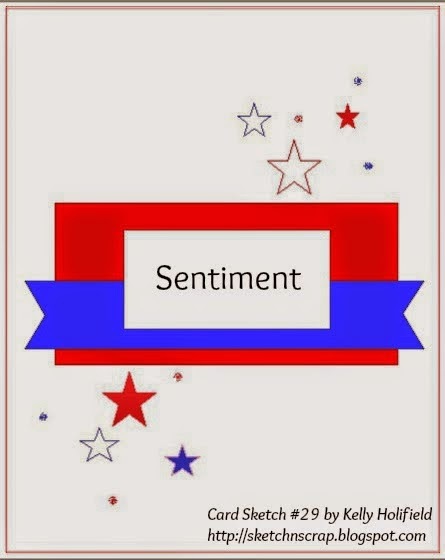 I love your background on the card! 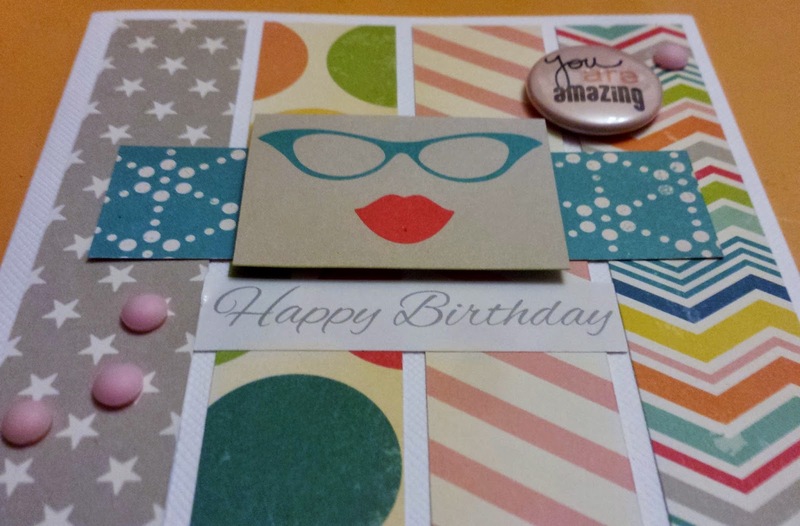 Thank you for sharing with us at Sketch ~N~ Scrap! very nice, I like it!! hanks to joining us at sketch N Scrap!!!! Wow! Great card and I love how you changed the sketch. Thank you for sharing it with us at SNS!